On Friday November 16th, activists from across Ohio and Pennsylvania collaborated for an action outside the Ohio Department of Rehabilitation and Correction (ODRC) Central Office in Columbus. The rally was in response to a number of repressive and retaliatory actions against prisoners following the massive #August21 prison strike. 1. End all retaliatory communication restrictions against Siddique Abdullah Hasan and throw out the Serious Misconduct Panel decision. 2. Cease the violent attacks on Toledo Correctional hunger strikers and meet their demands. 3. Reverse all visitation restrictions imposed on the prisoners’ supporters and new policies designed to harass prisoners’ visitors at OSP. 1. Siddique Abduallah Hasan is an outspoken prisoner movement leader who the ODRC retaliated against for merely trying to speak to the public about the #August21 prison strike. He was brought before a “Serious Misconduct Panel” which violated due process to impose a year long ban on his phone and email access, and permanent visiting restrictions on some of his supporters and close friends. These restrictions take away vital connection to the outside world, which have helped Hasan survive decades in supermax solitary confinement at the Ohio State Penitentiary (OSP). More details on Hasan’s situation can be found in a recent Shadowproof article. 2. David Easley, James Ward and others at Toledo Correctional have been engaged in off and on hunger strike protests since the national strike started August 21. Their main demand is that the ODRC release them from solitary confinement and stop using solitary confinement to exacerbate the mental health crises that confinement in prison causes. The latest hunger strike started on Saturday November 2, and staff at Toledo Correctional responded by shooting the strikers with chemical weapons and refusing them access to showers so they can clean the mace and pepper spray off. Learn more from announcement post on It’s Going Down by hunger strike supporters. 3. Following the strike and the highly suspect “mysterious toxic substance” scare in Ohio and Pennsylvania, ODRC has changed visitation policies for many prisoners, especially at OSP. Experts have described the scare as a “mass psychogenic illness” caused by guards’ paranoia, not the actual presence of toxic substances. Moreover, drugs are much more likely to be smuggled into Ohio prisons by staff than by visitors. Yet, the ODRC persists in new visitation policies (such as requiring visitors to use bathrooms in the downstairs lobby rather than the visiting room) that harass visitors and waste precious time with their incarcerated loved ones. The protest was part of an ongoing campaign to gain amnesty for Lucasville Uprising prisoners, who were falsely implicated for crimes after the 1993 riot, which erupted in response to the horrendous state prison conditions. 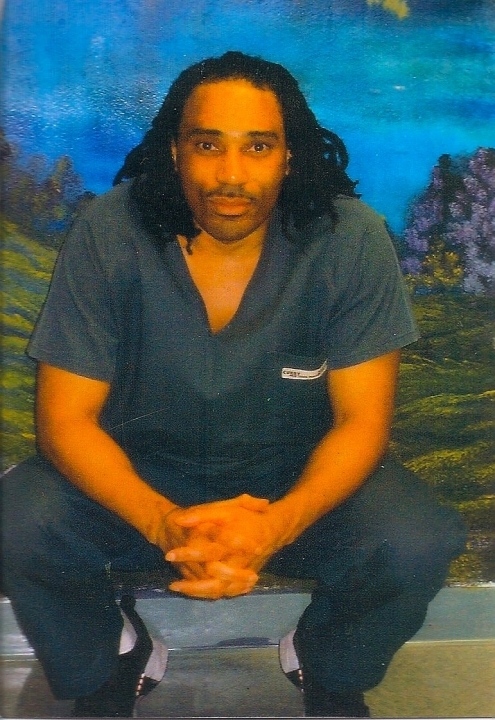 This October, after over 20 years of solitary confinement at the OSP supermax, Greg Curry, was transferred into general population at lower security, Toledo Correctional Institution. He credited his supporters’ pressure on the ODRC for this huge victory in his ongoing fight for freedom. For more information on Lucasville Uprising prisoners, visit LucasvilleAmnesty.org. Posted in 2018, Greg Curry, Lucasville, prisoner activism and tagged #August21, #PrisonStrike, BQIC (Black Queer & Intersectional Collective), Central Ohio IWOC, David Easley, Free All Lucasville Uprising Prisoners, Greg Curry, James Ward, Lucasville Amnesty, odrc, Ohio State Penitentiary (OSP), Pittsburgh ABC, Pittsburgh Anarchist Black Cross, rally, retaliation, Siddique Abdullah Hasan, Toledo Correctional Institution on November 21, 2018 by Justice for Lucasville Prisoners.